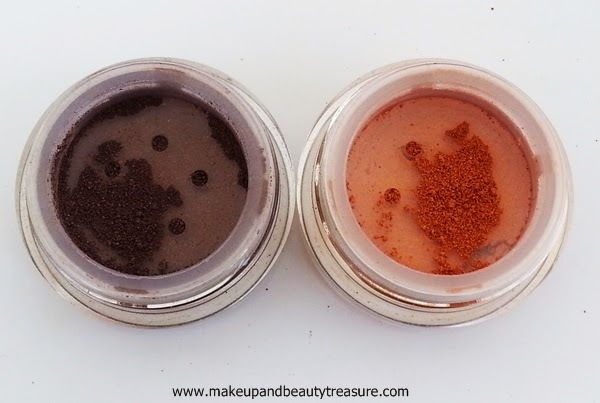 I have a soft corner for natural and mineral makeup as opposed to cosmetics containing loads of chemicals that are really harmful in the long run. 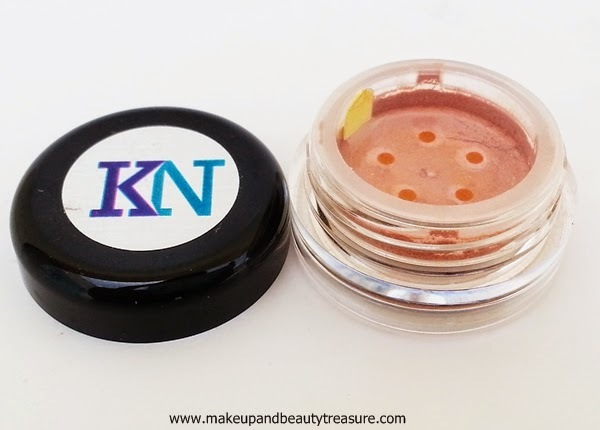 Though I have used only few products from this lovely US based mineral makeup brand- Kimberly Noel Cosmetics but I must say it is one of the BEST MINERAL MAKEUP brand I have tried. 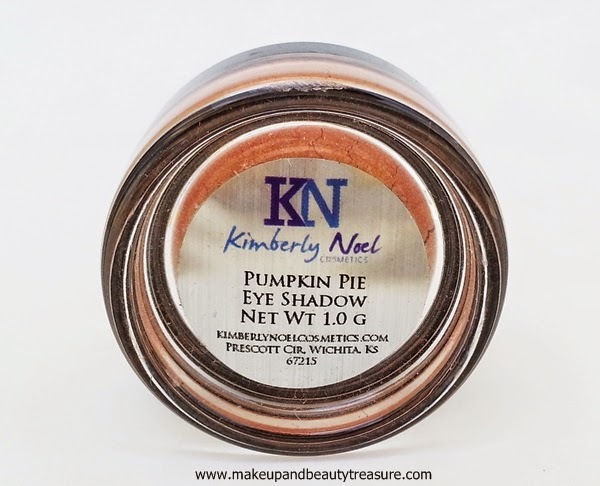 Today I am going to review Kimberly Noel Cosmetics Mineral Eye Shadows in Cape Cod and Pumpkin Pie. 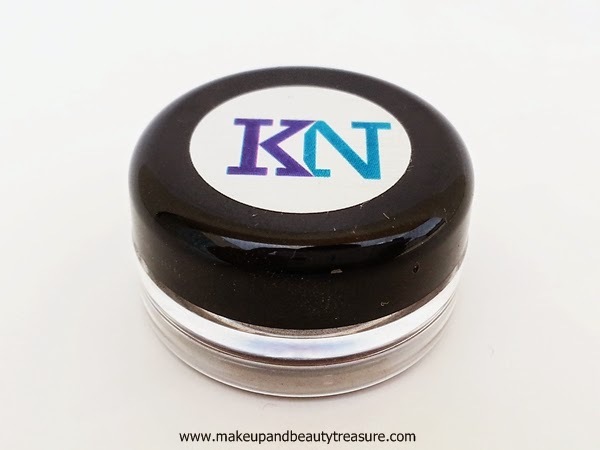 Kimberly Noel Cosmetics Mineral Eye Shadow comes in a small, sturdy clear plastic pot with a glossy black screw top lid. Though it looks small but it contains a lot of product and will last really long. As soon as you open the lid, you will see a sifter barrier that is sealed with a sticker. Pull off the sticker and you are ready to use your eye shadow. 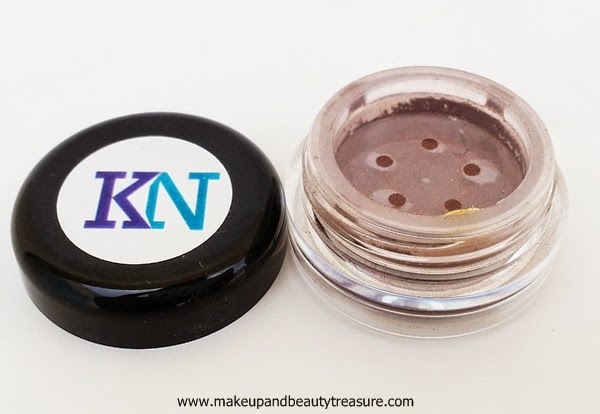 The sifter avoids spillage of the eye shadow and keeps it in place. 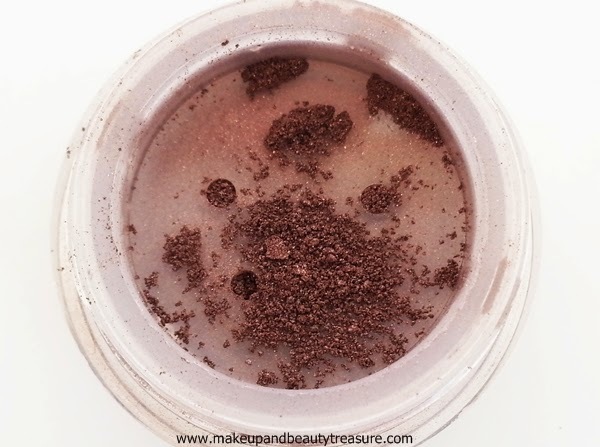 The eye shadow name is written at the bottom of the pot. 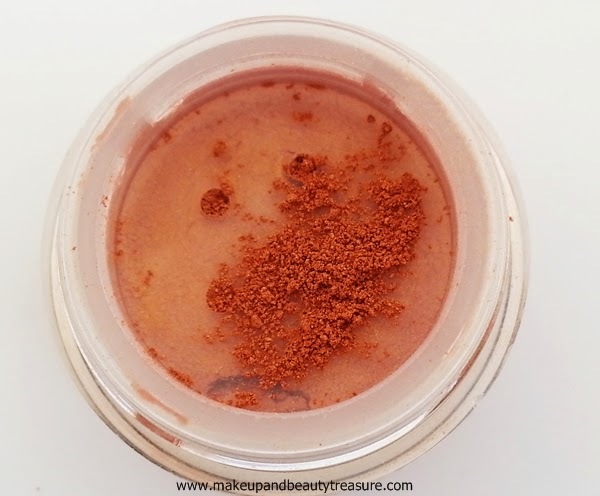 The pot is quite sturdy and can be easily carried around in a makeup bag. There is no eye shadow applicator provided with the eye shadow so make sure to carry your own. 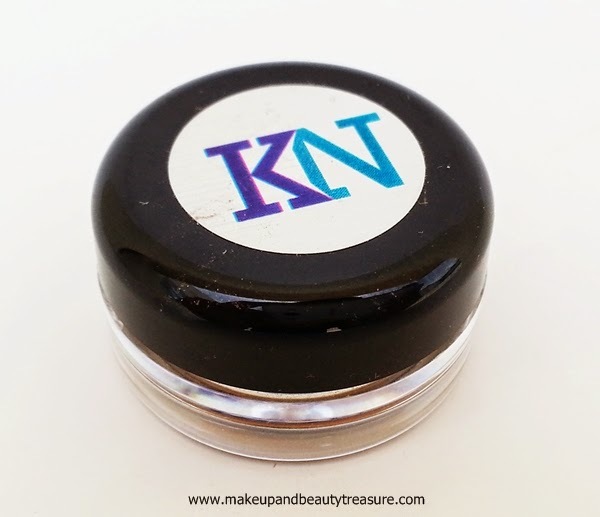 Kimberly Noel Cosmetics Mineral Eye Shadow has concentrated loose texture without clumps forming. The powder is very fine and doesn't tend to create a mess in the pot. You can use loose eye shadow with either finger or a brush. I would advise you to avoid using a sponge applicator as it packs on too much product leading to wastage of product. I usually use an eye shadow brush that is not very soft. I simply pour little eye shadow on the back of the lid, swipe the brush lightly and give it a good tap on the top of the lid before application. I then gently pat the color onto my lids. It is easy to blend without creating a fuss. It doesn't tend to fall out all over my cheeks unlike other loose eye shadows. 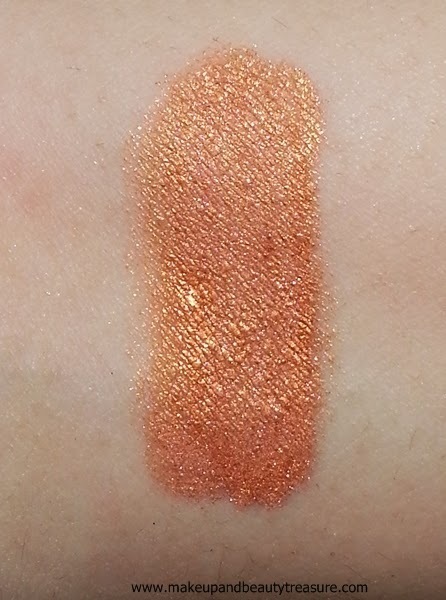 Cape Cod is a gorgeous dark brown color with very fine silver shimmers and Pumpkin Pie is a warm champagne pink with slightly orange undertones and very fine golden shimmers. They are well pigmented and need a couple of dabs to get an even coverage. I love layering them up to get desired intensity when I do smokey looks. They have pretty shimmery look but are not OTT and only noticeable when the light hits. I also love using them with bright lipsticks. You can also create various eye looks using them but I love wearing them on their own. I always make sure to use a primer underneath them for longevity and crease free application. They stay put on my slightly oily lids for a good 6-7 hours which is pretty impressive. It would look flattering on all skin tones. They make my eyes appear bright and pretty. They can be used for both day and night wear. I love pairing them to create bridal or party wear look. • Does not tend to fall out. • The shimmers are very fine. • The powder is finely milled. 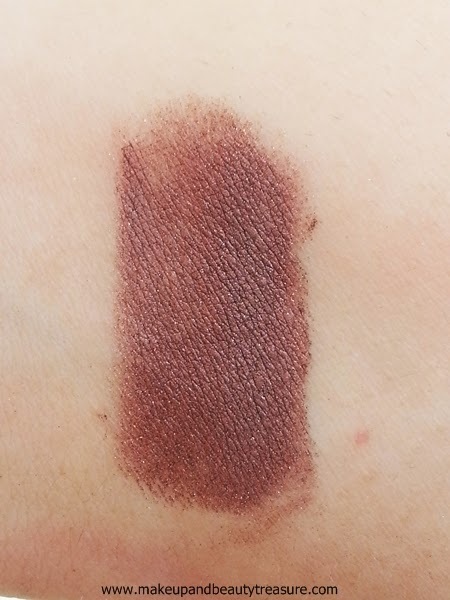 • Medium to rich pigmentation. • Stays on my eyelids without creasing for a long time. • Cape Cod and Pumpkin Pie are party or bridal shades and look beautiful when paired together. • Can be used dry or wet. 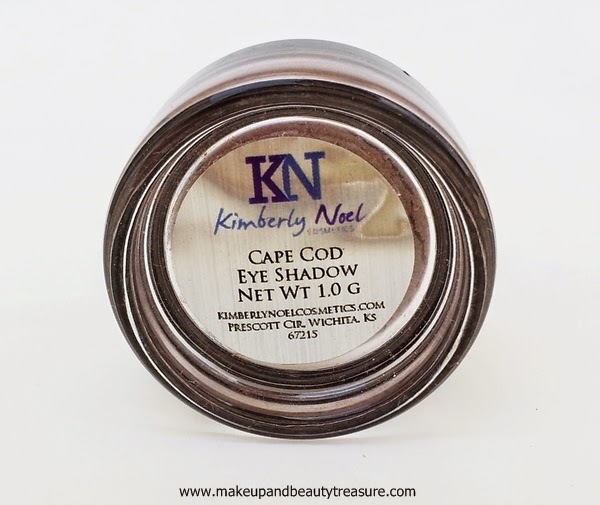 Kimberly Noel Cosmetics Mineral Eye Shadows are one of the BEST MINERAL EYE SHADOWS I have tried. They apply easily and do not tend to fall out unlike other eye shadows I have tried. They are richly pigmented and have lots of colors to choose from. They are indeed budget friendly eye shadows and I would HIGHLY recommend them to everyone! 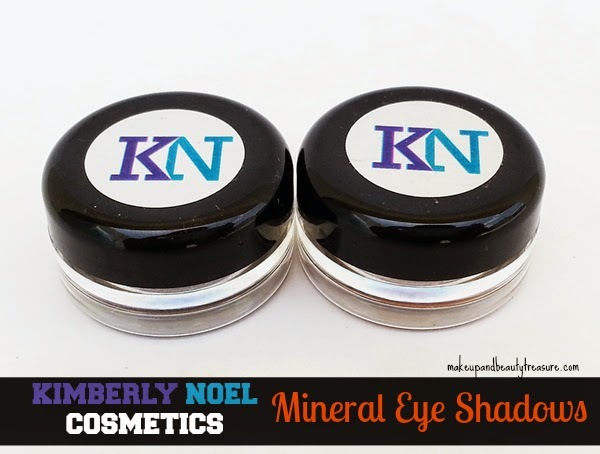 Have you tried Kimberly Noel Cosmetics Mineral Eye Shadows? How was your experience? What are your favorite mineral eye shadows? Share in the comments section below! That looks very pigmented, beautiful! Pretty shades n ur eotd is soo pretty meghu..